$287.99 & FREE Shipping on orders over $59. Pika FastOrange Brett is a nutrient medium developed for the craft brewing and winemaking markets. Its composition will selectively enrich yeasts of the genus Brettanomyces/Dekkera, while suppressing the growth of bacterias and brewing yeasts. Brettanomyces yeasts are easily detected by a visible color change in the medium. 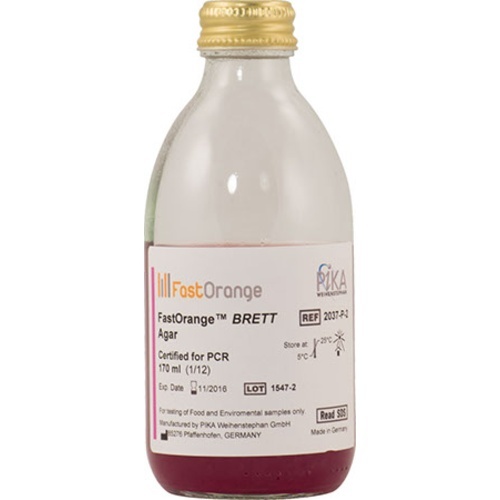 FastOrange Brett is available in either Bouillon or Agar forms. 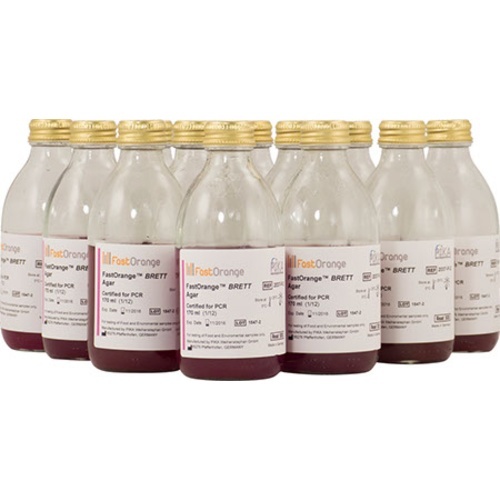 FastOrange Brett Agar is a culture medium developed specifically for the detection of microbial contaminations during the brewing process and in brewery products. Beer spoilers such as lactic acid bacteria and pediococci are easily detected by a color change in the culture. The strength of this color change is relative to the acid production of the bacteria, and can be a useful tool for isolating high acid producing strains for further propagation. Confirm finished product has no contamination, avoid burst risk! Smaller quantity is good for the number of samples I will process at a time. Also, I can streak plates with environmental swabs.